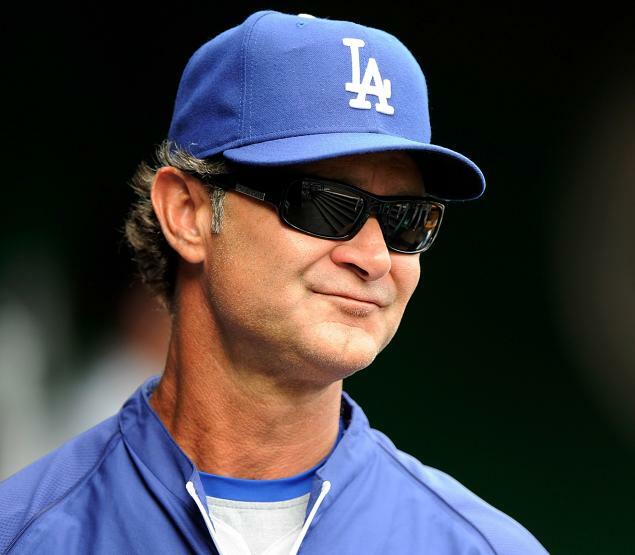 Does Don Mattingly Deserve a Raise or Do You? I know you think you’re worth it before you even read this blog post. But have you really thought the process through? Take a moment and step off your high horse and really do a self-assessment. Place a critical eye on how your department contributes to the company. Let’s take Don Mattingly, Manager of the 2013 National League Division Champion Dodgers for instance. Does Don Mattingly deserve a raise, essentially a contract extension which is the baseball equivalent of a raise, or should he be let go? When looking at the Dodgers at the start of the 2013 season, hopes and expectations were high. It seemed that reaching the World Series was the only true measure of what a successful season would be. As we all know the season got off to a very slow start and then got progressively worse. Key players began to get injured and the team floundered. Fans and some media types started calling for the resignation of Mattingly indicating he couldn’t do the job. Someone with more big league managerial experience was needed, especially during the game. Everything Don Mattingly did or did not do was called into question. After the All Star break, a key trade and the return of those key players, the team started to gel and went on a tremendous winning streak. The Dodgers blazed through the rest of the season and finished as one of the best teams in baseball, igniting a baseball resurgence in the Southland. In the blink of an eye, Mattingly was being hailed as a genius. His on the field management was superlative. He was the toast of the town! Then as soon as the Dodger’s lost the Championship Series to the Cardinals, people were calling for his head again. So after having significant injuries affect the team, Mattingly kept everyone together and got within one playoff series of the going to the World Series. Should he get a raise? Before you answer that question, take into account what Mattingly did and then look at yourself and your team. You are Mattingly and the Dodgers are your team of employees. Ask yourself these 6 questions to determine if you really are worth that raise. Write down the number you feel accurately describes you or your department. You will be adding them up at the end. 1. If you left the company, how easy or hard would it be to replace you? 2. To what extent do you have abilities or possess knowledge that most others-both inside and outside the company-do not have? 3. If your company had to eliminate departments, what would happen to you? 4. Is your department respected by other parts of the company? 5 How much does your business or division contribute to the profitability of the company? 6. Does it look as if your business will grow or shrink in coming years? 0 – 11 Your indispensability rating is LOW. Not a good time to ask for a raise. 12 – 16 Your indispensability rating is MEDIUM to LOW. 17 – 20 Your indispensability rating is MEDIUM. 21 – 25 Your indispensability rating is MEDIUM to HIGH. 26 – 30 Your indispensability rating is HIGH. It’s an awesome time to ask for a raise. If you are honest in your evaluation, you will get a pretty good idea of where you stand within the company. You can now be armed with much more ammunition during your conversation or negotiation with your boss. Now do you or Don deserve a raise?